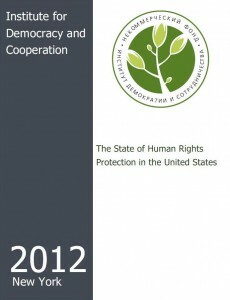 In September 2012, the Institute for Democracy and Cooperation in New York prepared their annual report entitled “Human Rights in the USA”. The authors are in no doubt that civil rights have made American society freer and fairer. They are acting as independent and objective researchers of a delicate subject – human rights – in a country which in every way possible tries to use the issue as an instrument of foreign policy. With a thorough reading of the report, one will see that there are human rights violations in the United States itself which are being carefully hidden from the global community and are threatening to rob the USA of its moral leadership when playing this card in their foreign-policy objectives. In such conditions, attempts to base their own foreign policy in relation to other countries on the observance of human rights is not just ludicrous, but counterproductive. The report includes a number of human rights issues that spark lively debates and discussions in modern-day American society. Improvements have been noted for several of them, but there are also some in which changes have passed unnoticed. First and foremost, I am referring to political corruption, the unjustified use of force by the authorities, mass murders etc. It is worth talking about the mass murders separately, since nowhere else except America have such tragedies taken place and with such frequency. The authors believe that access to firearms, together with the stresses that modern man has to cope with and, against this background, the mind-altering substances being taken, result in people losing control of themselves and turning to socially dangerous behaviour. If we develop the idea mentioned in the report a little further and turn our attention to mind-altering substances, then it seems that the USA accounts for a huge share of the world’s antidepressant consumption, especially amongst teenagers. According to Peter Breggin, a well-known American psychiatrist, the drugs prescribed to treat depression can give rise to a variety of delusions. Several patients have exhibited “delusions of grandiose plans to destroy large numbers of people”. Such “treatment”, on top of the relentless pressures of the outside world by way of sources of information which are far from harmless, provokes aggression. In essence, the American government, coupled with the pharmaceutical companies, is carrying out experiments on its own population. The aim is simple – a person who has been hand-fed antidepressants by the authorities since childhood is not capable of sustained, conscious protest actions. Put simply, such a person has been completely deprived of their own free will. It turns out that the earlier a person embarks on such “treatment”, the quicker degradation sets in. Can we even talk about human rights under such circumstances? To this we can add that America’s current health system is a business model incorporating insurance companies, banks, pharmaceutical groups, research and development centres, healthcare facilities and doctors, as well as educational institutions. Which is exactly why it is the average American who ends up on the losing side in the overwhelming majority of cases. It turns out that one of the basic human rights to health has been being trampled on in the USA for many years now and there are no signs of any improvements in this area in the near future. 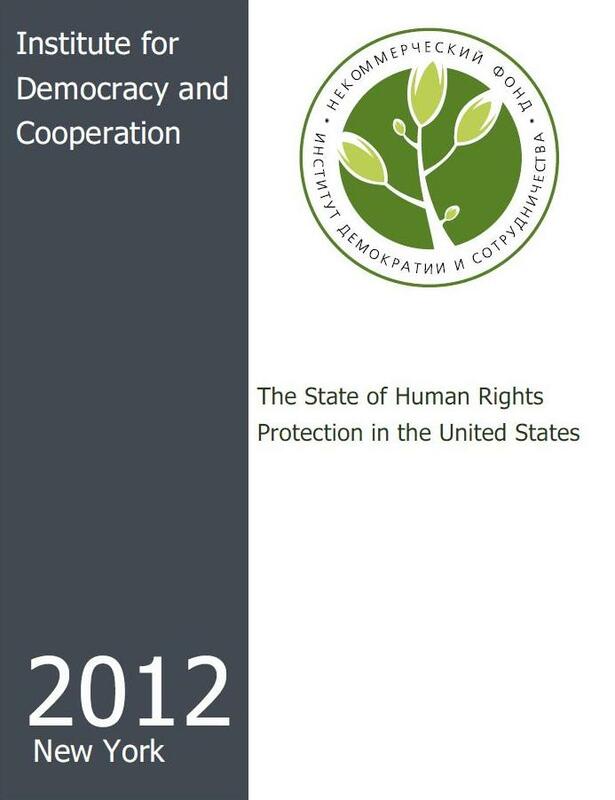 The report’s authors, of course, do not give the whole picture regarding the observance of human rights in the USA. They maintain that America’s experience of solving these issues bears witness to how difficult it is to truly observe the whole range of human rights even in America – a country with a long democratic tradition. The report may be of interest as the basis for a more detailed study of the various aspects of human rights observance in the USA and as an indicator of the problem issues in this area. Its own internal problems with human rights seriously weaken Washington’s position in its claims of establishing international standards of legal protection. Those liberally allocated resources in support of human rights activists around the world would be better used to improve the situation of human rights in the United States itself.